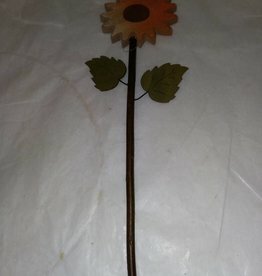 A wooden sunflower pick to be added to your arrangement. 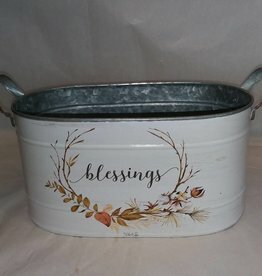 Middle size tin "nesting" planter. 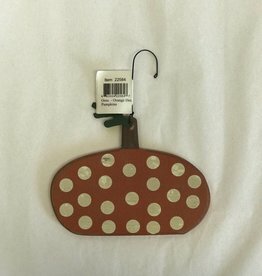 Oval w/2 handles. 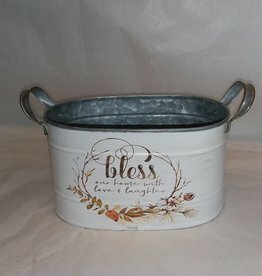 Painted white w/a fall sprig adorning the front w/the words: "bless our home with love & laughter" centered. 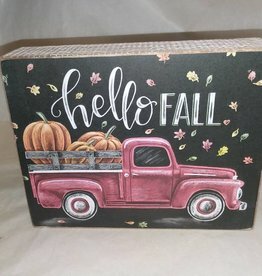 9.25"x5.5"x5.25"
Smallest of 3 sizes tin planter. 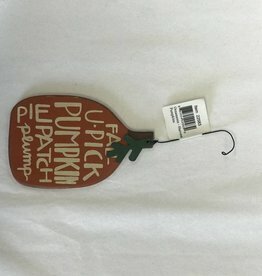 Oval w/a sprig of fall branches adorn the front w/the word gather centered underneath. Painted white. 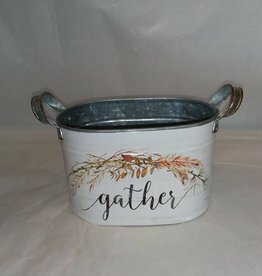 7"x4.5"x4.5"
Galvanized Fall Planter, Gather, Small, 7"